Carr is calling Christians to action – though not necessarily adoption – to defend orphans in real tangible ways. Carr also wants us to understand the enormity of the challenge. Each year in the US 1.2 million women choose abortion, and just 18,000 choose adoption. And at present as many as 92 percent of US Down syndrome children are aborted. If abortion were ended tomorrow, would we as the Church be there to care for the hundreds of thousands more unwanted children born each year, many with special needs? The answer would seem to be no, as evidenced by the 100,000 children currently in the US foster care system who are eligible for adoption but are just waiting. These are all US numbers, but Carr's point is just as applicable to Canada – we are called to care for orphans (James 1:27) and yet there are many orphans still in need of care. So what can we do? Carr knows that not everyone has been called to adopt, and at the end of each chapters he outlines things that anyone can do, things that many can do, and things that a few can do. For example, anyone can look out for families in our communities who are foster parents, to see what we can do to encourage and help them (providing a meal, inviting them over, etc.). Anyone can offer babysitting to adoptive families, or donate to a church fund that will match dollars for parents who want to adopt. Many can consider becoming a respite worker for foster families, undergoing the training and screening needed to ensure they are ready to care for children (for a few hours or maybe a few days) who might have special needs. Many can volunteer at pregnancy counseling centers. Many can buy products from micro-finance organizations that work to help the poorest families start businesses, so these families will have the money they need to keep their families intact. A few can go through foster care certification to see if they might want to become foster parents. A few can consider adopting a child living with HIV/AIDS. A few can consider starting a ministry that teaches the doctrine of adoption to churches here and abroad. Carr includes many more examples of what we can do, and by presenting us all with at least something more we can be doing, he wants us to understand there is no justification possible for us to do nothing. That's why, for those of us who don't already have an adopted child or two, or who aren't otherwise already engaged in this task, this will be quite the guilt-inducing book. But guilt can be a very good thing, if acted on. Guilt – if there is a real reason for it – calls us to repentance. And since we know there is indeed forgiveness to be found, after we humble ourselves before God we can, secure in the knowledge that our guilt has been washed away, proceed onwards, taking up the task we had previously neglected. And Carr shows us just what we can do, whether it is a little or a lot, to seek justice for orphans. 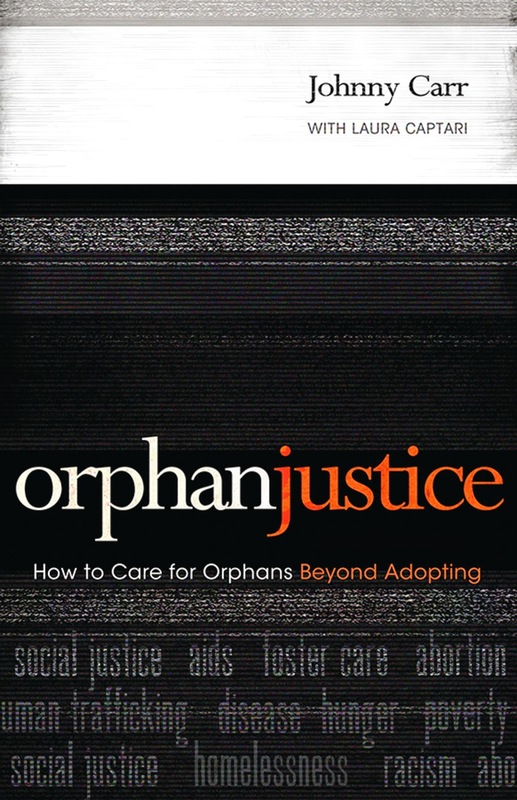 You can buy a copy of Orphan Justice at Amazon.com by clicking here.